Painting a room is the best way to completely update and transform your space. If you are ready to head to the store and buy your paint, it’s helpful to know how many gallons of paint you need. 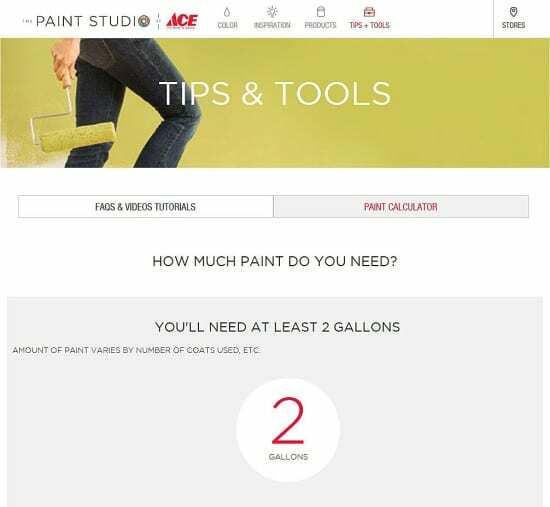 The Paint Studio at Ace has an easy online paint calculator to tell you exactly how much paint you need. Just enter a few numbers and you will have your answer in seconds. Start by measuring the walls you want to paint and enter the number in feet (round up to the nearest foot). Next, enter the number of doors and windows in the room. Now enter the number of coats of Ace paint you will be applying. Using one of superior quality brands like Clark+Kensington Paint+Primer In One or Valspar Aspire and Optimus means that you will need less coats. Then the Paint Calculator will tell you how much paint you need. To use this fun and helpful tool, visit The Paint Studio and click on Paint Calculator. Or please call or visit our stores and speak to one of our paint experts. Happy Painting! !